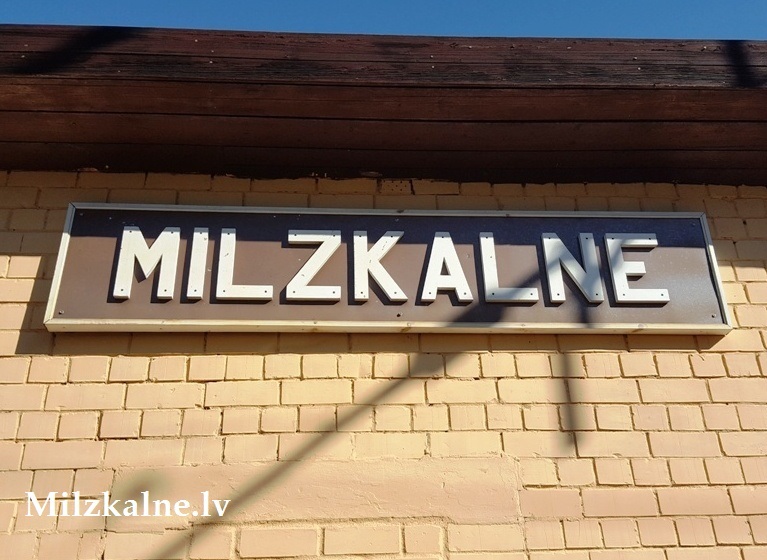 Milzkalne Railway Station was opened in 1959. 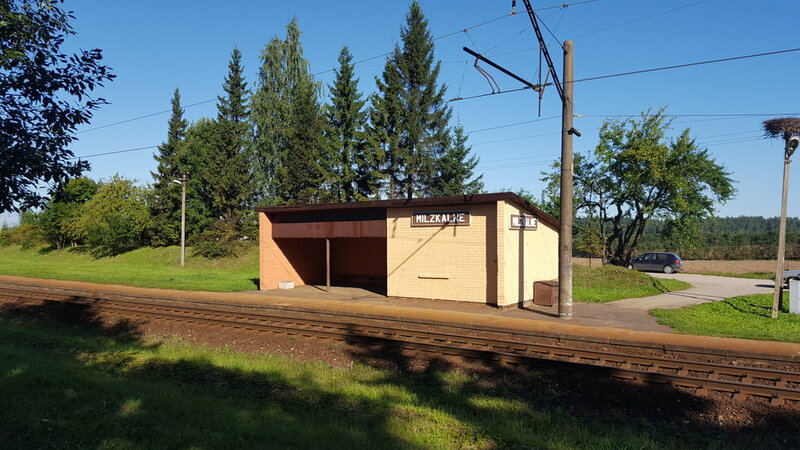 It is located at the 61st kilometre of the railway line Riga (Torņkalns) – Tukums 2. It is a passenger station with one platform and one railway gauge. The next station on the way to Riga is Smārde. The next station on the way to Tukums is Tukums 1. 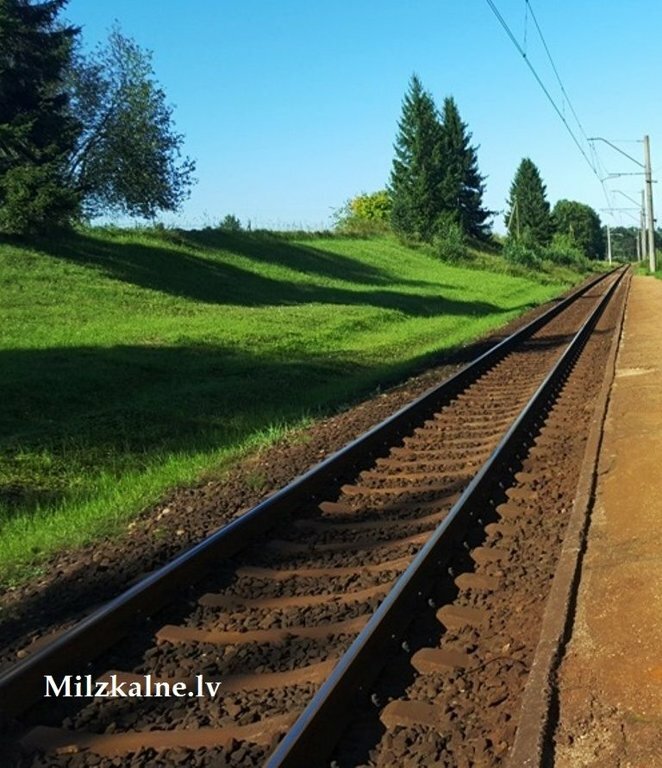 Milzkalne is located at about 1 kilometre from the station. 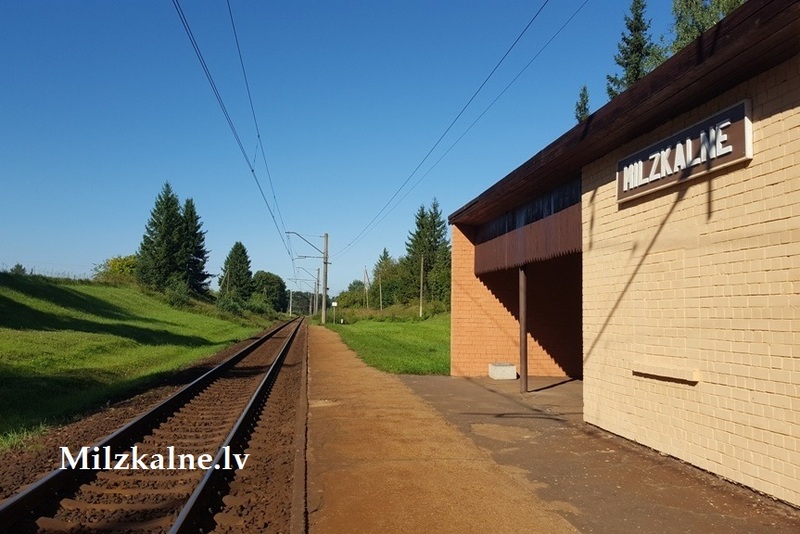 All electric trains stop at Milzkalne station. The closest railway stations are Tukums 1 – 4 km, Tukums 2 – 7 km, Smārde – 7 km, Ķemeri – 17 km. The building of the station is built from bricks in the Soviet time. There is not ticket office at the station any longer (it was closed due to its unprofitability; and the premises of the ticket office are currently bricked up). The tickets can be bought on a train from a guard (conductor).